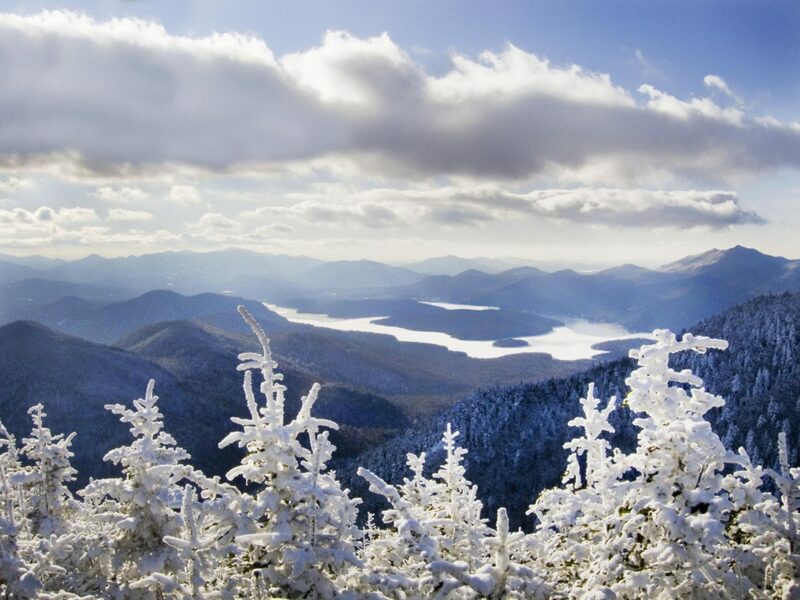 A 4.5-hour drive north from New York City stand the highest peaks on the east coast of the U.S. and Canada. 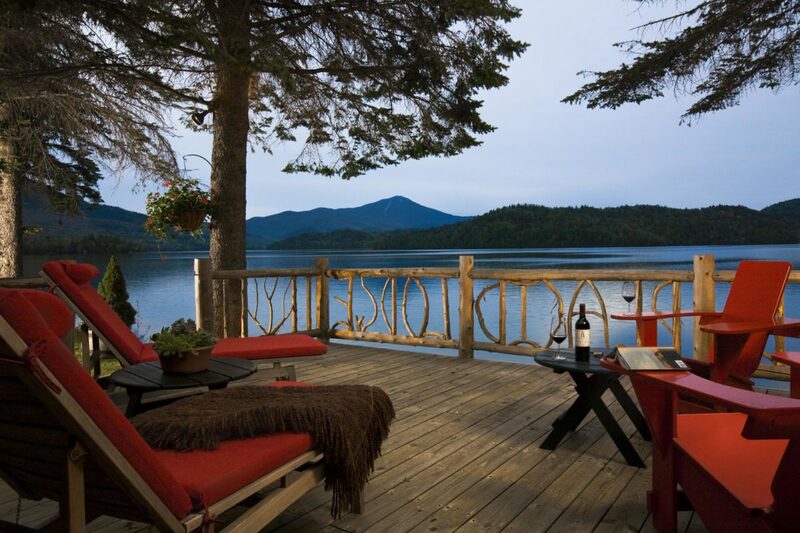 The Adirondacks, a protected park and stunning mountain range, are the perfect antidote to city life. The region rose to popularity thanks to William H. H. Murray’s book Camp-Life in the Adirondacks, published in 1869, which unleashed a flood of tourists to the area. The region is home to a large concentration of “great camps,” Craftsman-style country retreats built in the latter half of the 19th century for some of the biggest family fortunes of the American Industrial Revolution—the Kahns, Lehmans, and Guggenheims among them. 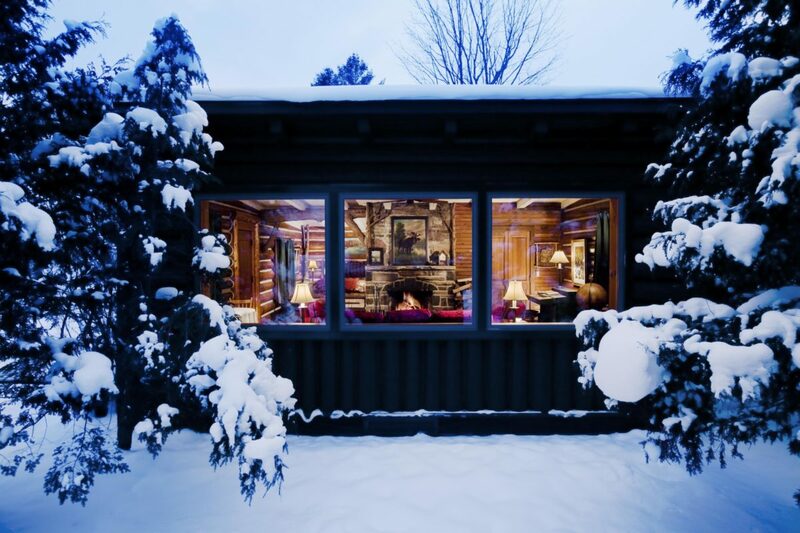 These cabin compounds used local timber and rustic materials but had no shortage of creature comforts, from massive porches to movie theaters and bowling alleys. Tourists still frequent the area today. Skiing, skating, sledding, or après-ing are still de rigueur in the winter months, while swimming, paddling, hiking, or bathing in nature’s bounty are on the summer docket. But like most exclusive escapes, the region is best navigated by clued-in locals. Enter Kathleen Whitaker, a ceramicist, jeweler and longtime ADK seasonal dweller, though she calls Los Angeles home. KW (as she’s affectionately known to friends) has become a household name among the unassumingly fashionable. 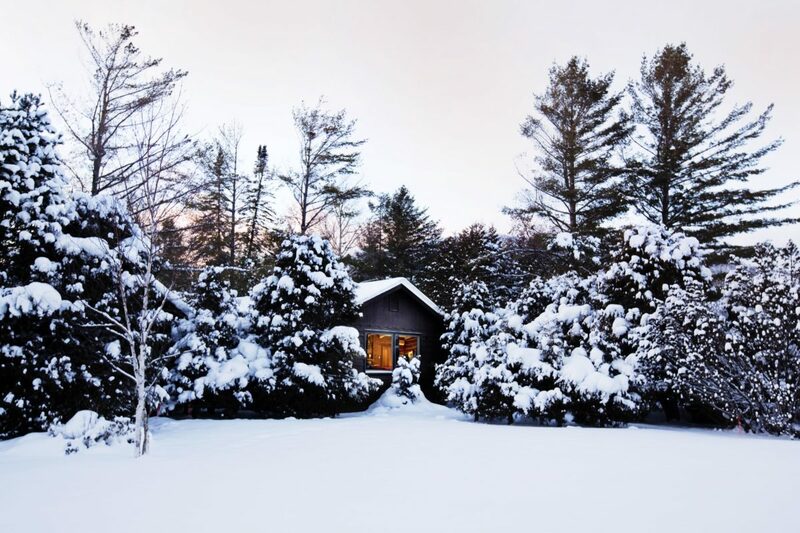 Her elegant pieces have crept onto the lobes, fingers, necks, lapels, and hats of editors, artists, and bon vivants alike; they can be found everywhere from glass cases at the chicest boutiques in Australia, to, well, the Adirondacks. Her sculptural pieces attract graceful women who appreciate classic design and restraint, much like the pioneering, wilderness-frolicking females who escaped the city for the “modest” country life of the Adirondacks throughout the gilded era. 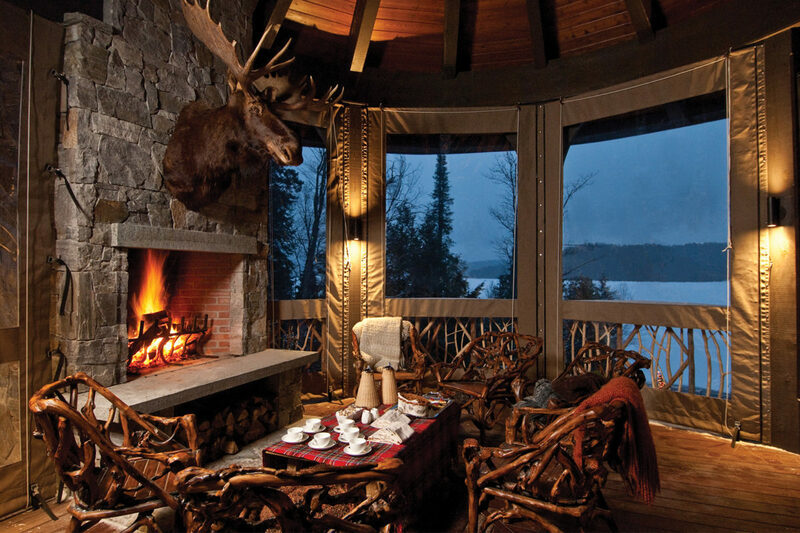 “In the Adirondacks, the rugged wilderness is crossed with comfort and a few of life’s indulgences,” says Whitaker. What's your favorite hotel in the area? 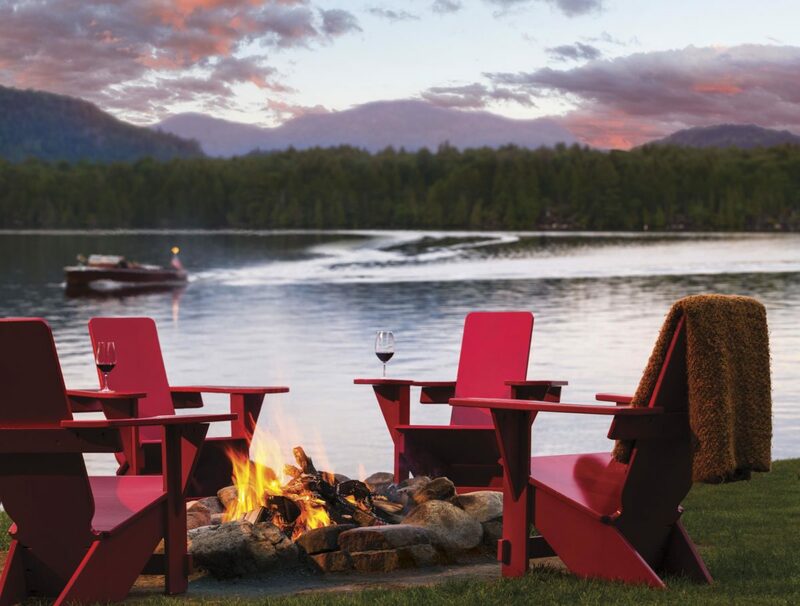 I have a residence in the Adirondacks, so it’s hard to justify a stay at the Lake Placid Lodge, but it has all the trappings of an elegant getaway amid the rugged forest. With an original footprint dating back to 1882, it has been brought into the current century with luxury amenities and timeless allure. Where do you pick up groceries? A stop at Oscar’s Smokehouse is a must for beautiful meats, cheeses, mustards, and more. I have a bulk shipment of delicacies sent west to my home in L.A. a couple times a year. All the makings of a perfect picnic! 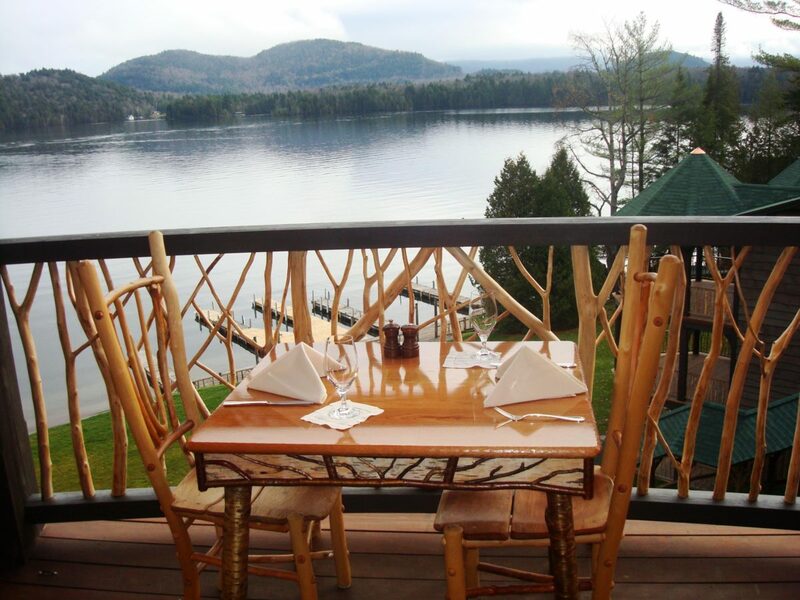 Cruise around Raquette Lake on the S.S. Durant, which gives a great tour and history from the water of the islands and wilderness retreats built for J.P. Morgan, Alfred Vanderbilt, the Carnegies, and more. Hike Mount Marcy, the highest peak in New York State. The shortest used route to the top is via the Van Hoevenberg Trail—and is 7.4 miles to the summit. Or, ride the gondola to the top of Gore Mountain for major vistas of the changing leaves. An aerial view of Lake Placid. Winter days offer the perfect opportunity to hit the slopes for a morning of downhill skiing. Whiteface Mountain has prime programming for all family members, from Cub Camp to Play & Ski to private lessons for your future Olympians. The sandwiches, soups, and ice cream are superior at the very casual Main Street Ice Cream Parlor. It’s worth a stop and is ideal for parties with kids and grandparents alike. Ideal place to grab a drink. 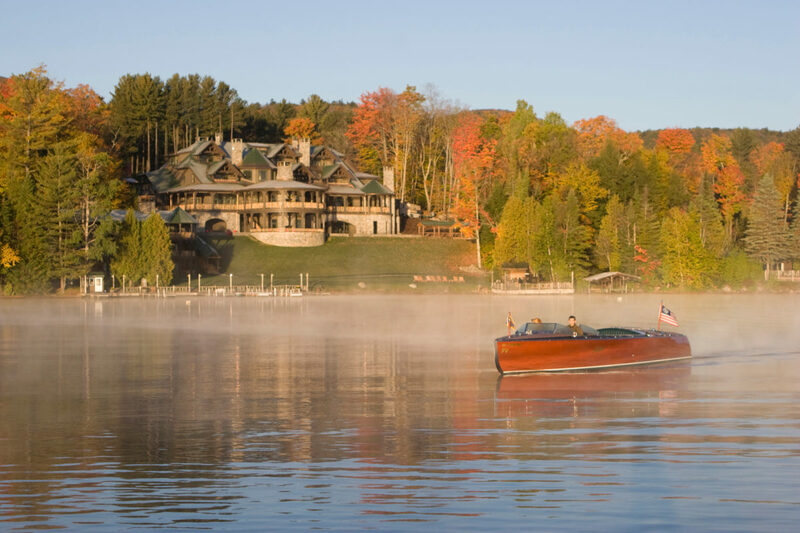 Get sundowners at one of the many venues inside Sagamore Camp—perfect for sipping a Bloody Mary and taking in the lake vistas. Al fresco dining. All photos courtesy of Amanda Blakley. When you feel like eating out, where do you go? BarVino is a small tapas restaurant in North Creek offering delicious continental staples. How do you get your culture fix? Take in a performance of the New York City Ballet or a summer concert at Saratoga Performing Arts Centre while picnicking on the lawn.